i love C.C. in this! Wow this wall looks quite cute. 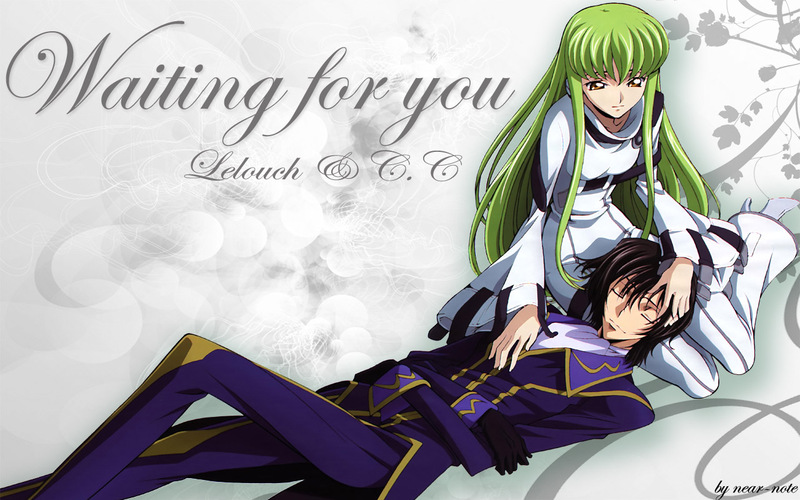 Lelouch and C.C. look peaceful and i like the silver bg, it looks almost like snow. the letter are a bit big, and cover most of the left corner but still is a wonderful job. Overall an excellent wall added to favs. Love Lelouch sleeping face... So darn CUTE!